I love subscription boxes, this is no surprise as I’ve mentioned them a few times on the blog here and here. One of the boxes I get is by Ipsy its very makeup heavy and light on the skincare. You can customize what you get by answering a survey. It seems that every other month the Ipsy box is really awesome and the months in between really miss the mark in terms of product and quality with only one or two really great products in the box. 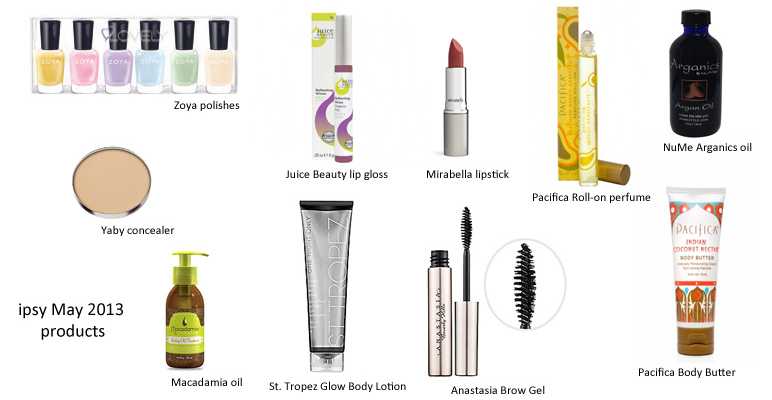 But, when the month is good — the products really standout and completely make up for the off months by being very high quality and sought after. 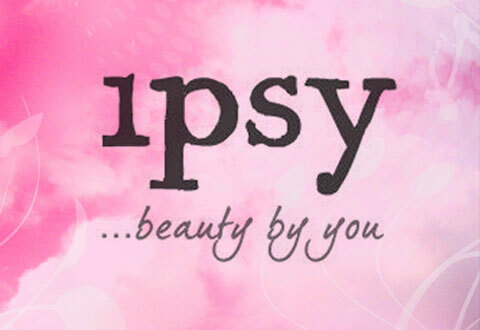 One thing I love about Ipsy is that you often get one product from a very under the radar brand, its often pretty cutting edge in terms of concept, I really like this. The other thing that is great about Ipsy is that your box is not a box at all. The products actually arrive in a cute seasonally themed make up bag. I love organizing my purse with little pouches and the ones from Ipsy are the perfect size for purse organizing. This month the box was truly a standout. 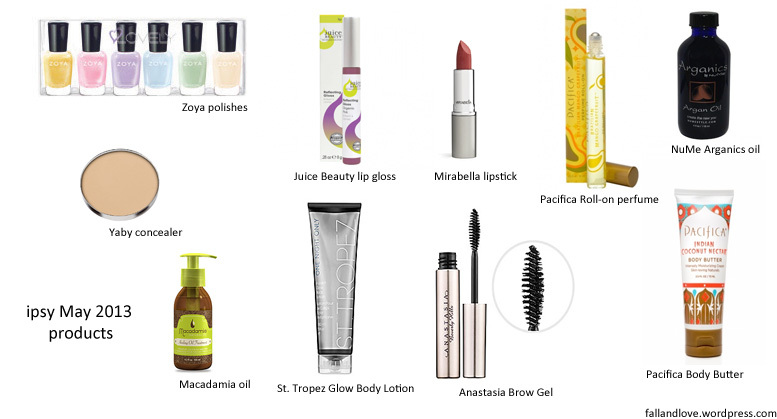 I received really excellent high quality products from companies like Zoya, Juice Beauty, Pacifica, Yaby and Macadamia Natural Oil. If you are interested in subscribing, its $10 a month, which includes shipping and each month you get 4-5 products sent right to your door in a bright hot pink bubble mailer (I love seeing the hot pink mailer on my stoop). I think there is still time to subscribe for May’s box. You can subscribe HERE with my special referral code.